The Cora 7X00 series of benchtop Raman spectrometers has been developed for use in academic and industrial research. It provides high spectral resolution, a wavelength of 3 cm-1 to 4 cm-1 up to 15 cm-1, a low noise level, and a high sensitivity in a space-saving 19-inch housing, which makes it easy to fit these Raman analyzers into your laboratory. 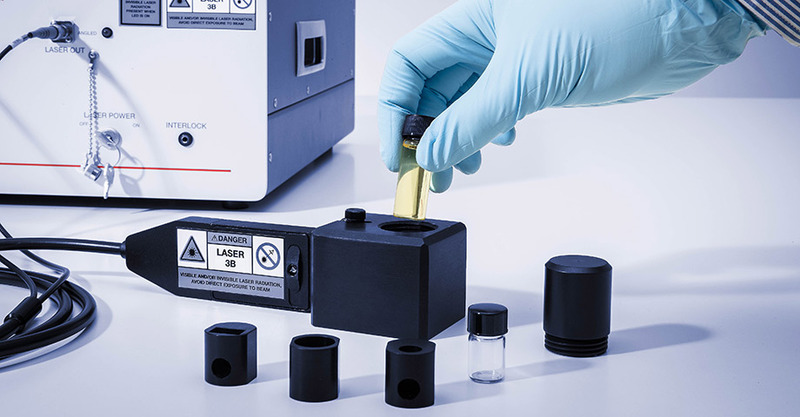 The Cora 7X00 Raman spectrometers allow you to choose the optimal wavelength for the samples in question to ensure optimal material identification of your non-fluorescent and fluorescent samples: 532 nm, 785 nm, or 1064 nm. The shorter the wavelength, the stronger the Raman signal. In many colored substances and uncolored organic compounds, fluorescence superimposes the Raman signal. In this case, a lower wavelength often provides a better Raman signal. 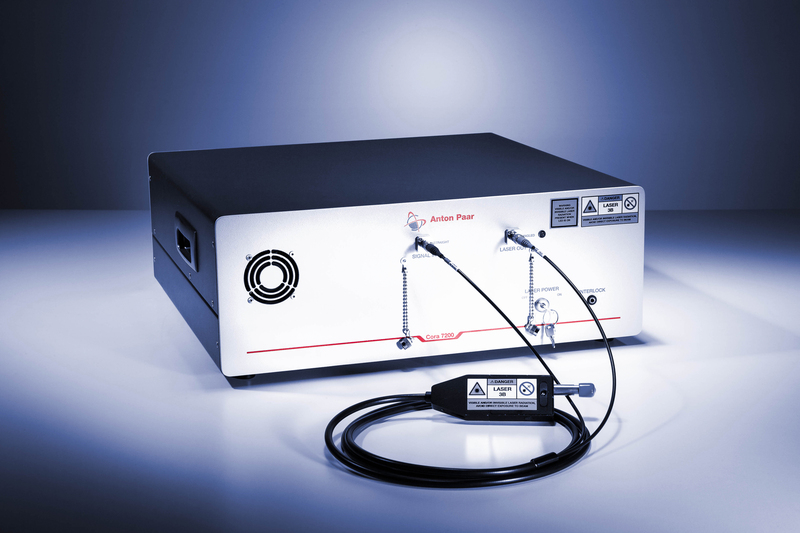 With the fiber probe, a Cora 7X00 benchtop Raman spectrometer can be easily attached to experimental setups. This allows the easy acquisition of data from a number of experiments without having to change the spectrometer setup. If there is a lack of space, the spectrometer can be stored under the table. 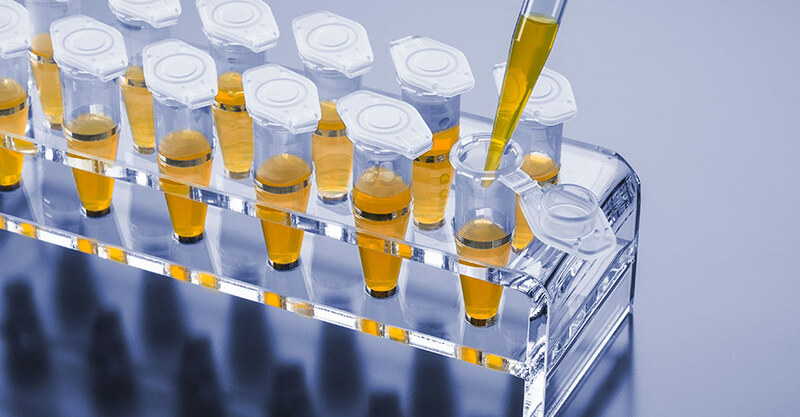 The vial holders are easily attached to the fiber probe and enable Raman measurements of liquids and powders in vials. In R&D it is important to have unprocessed raw data so that different users can perform separate analyses of their results. Cora 7X00 spectrometers give you this access. 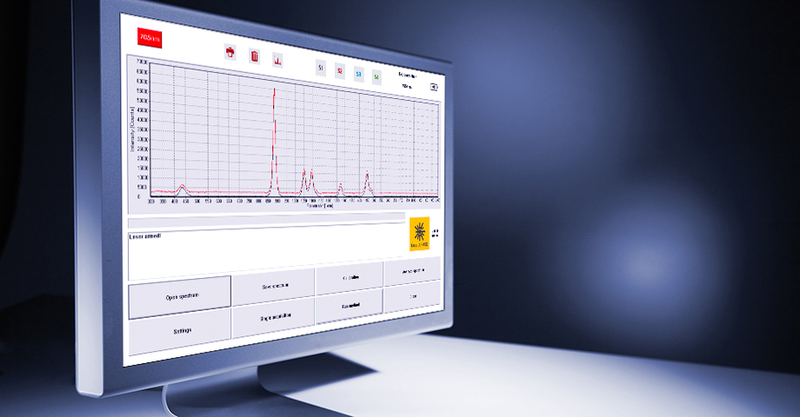 Correction of baseline or background, and the smoothing of a spectrum can be activated or deactivated by a single mouse-click and allow for easy Raman spectroscopy. Do you want to analyze samples with a low-scattering cross-section or low concentrations and do not want to wait for data for minutes or hours? The transmission gratings, especially made for Cora 7X00, offer maximum throughput of light and achieve the best possible sensitivity. Thus, a 0.01 M aqueous solution of ammonium persulfate already generates a clearly identifiable signal at 532 nm after 8 s integration time. Using a benzonitrile sample, this is achieved at 10 ms acquisition time and a signal strength of 300 counts. For the analysis of low-scattering samples or the measurement of low-concentrated samples, a high signal-to-noise ratio is needed. This is why all Cora 7X00 benchtop Raman spectrometers are equipped with cooled detectors. Depending on the wavelength, CCD chips (532 nm and 785 nm) or InGaAs arrays (1064 nm) are used. 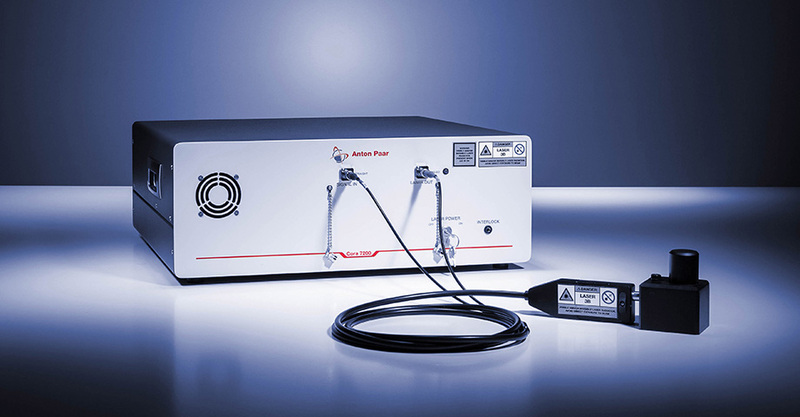 Raman instruments with 785 nm excitation wavelength (Cora 7200) are optionally available with deep-cooled detectors; the 1064 nm instrument (Cora 7300) comes with a deep-cooled detector as standard. 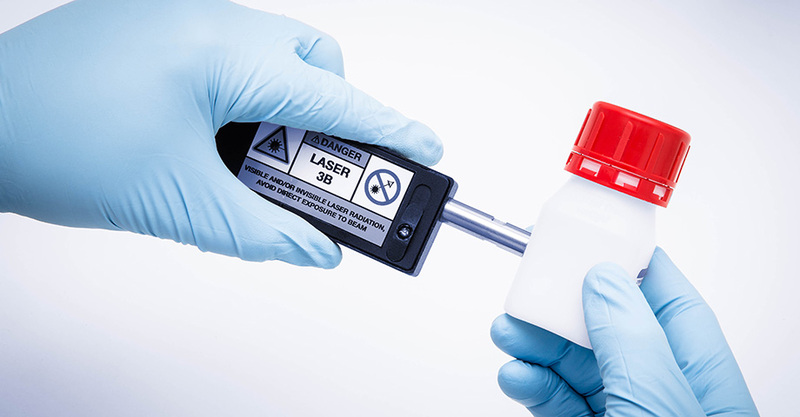 Thus, a benzonitrile sample can be measured with a 785 nm laser and 450 mW laser power in 10 ms measuring time.